With Zipify Pages you can build high quality, conversion tested landing pages with a few clicks of your mouse. The app and pages built are fully integrated with Shopify. Zipify Pages includes several templates that come directly from our businesses that you can customize to use on your store. You can also build your own page from scratch using our large (and growing) selection of header, content and footer page-blocks. Some of the things that can be done with Zipify Pages include the following: Create pre-sell pages, Email landing pages, Product offer pages, Holiday sales pages, Special Offer pages, Fully functional store Blogs and more! You can also collect leads to build your database for your preferred CRM system. You're able to create all of these types of pages from scratch using our wide variety of predefined page blocks or use one of our amazing pre-built page templates! The first thing you need to do once Zipify Pages is installed on your store is to read and accept the Terms Of Service agreement. Then you'll able to access the app's administrative interface. Zipify Pages is disabled by default which is indicated by the red triangle sign over the Settings button of the navigation panel. In order to enable Zipify Pages, go to the Settings -> General tab and click the "Application status" switcher to the "On" position. 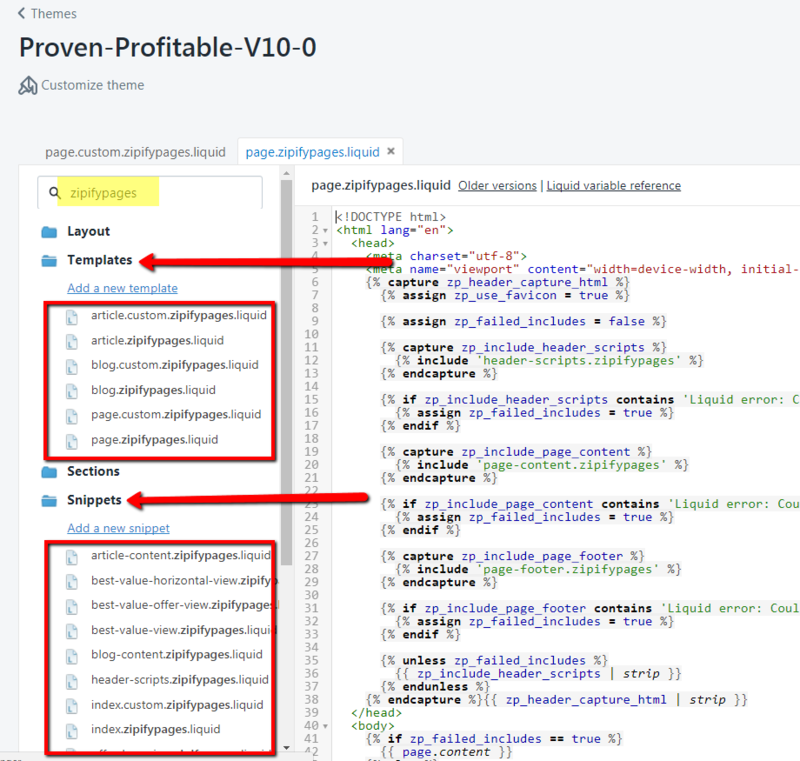 This will add some code into your store's theme (including styles) which is needed for the pages and blog posts published by Zipify Pages to function and be displayed with the correct page formatting. 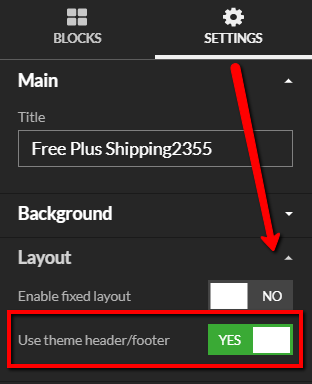 If you change your store's theme, you’ll need to disable and re-enable the application for it to function properly again. This is not required if you are only updating or modifying your currently published theme. In order to disable Zipify Pages, go to the Settings -> General tab and click the "Application status" switcher to the "Off" position. NOTE: When disabling Zipify Pages, it will also remove all the previously injected code from store theme. This means all published pages will remain on your site, but they will lack the needed styles and code so they will look improperly formatted and function incorrectly. If you want to completely hide all of the published Zipify Pages pages from your store, you'll need to un-publish them first from the Home section of the navigation panel. IMPORTANT! Always disable the Zipify Pages application before completely uninstalling it from your Shopify store. Some Snippet files are not being removed from the theme, but they’re refreshed after the app is enabled. Others are not being removed or refreshed at all (see details below). In order to set those snippets to their default state, you need to manually remove them from the theme and then re-enable the app. They will then be added back to your store's theme automatically with default content. Product snippets contain integration tags. The code placed between the integration tags will not be removed/altered after the app is re-enabled. Note: We leave the product code snippets to save integrations with other applications if/when Zipify Pages is re-enabled.